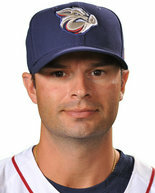 Cochran, no, not that Tom Cochran, will return to the IronPigs. Per Matt Provence, lefty starter Tom Cochran has been promoted from Reading to Lehigh Valley. Cochran, 33, was 0-3 with a 5.73 ERA in Reading this season after posting 9-5 record with a 3.96 ERA last year for the ‘Pigs. Cochran will likely replace the rotation spot left vacant by Jonathan Pettibone; the IronPigs had been using a starter-by-committee system to this point, having Zach Miner and Cesar Jiminez start bullpen games. In a corresponding move, righty reliever Justin Friend has been demoted to Reading. Friend, 26, set the single-season saves record last year at Reading, racking up 24 with a 0.23 ERA before earning his first shot at Triple-A baseball. Friend has struggled in 2013, posting a 7.07 ERA in 14 IP, struggling with increased walks (7.7 BB/9 IP v. a career average of 4.5) and decreased strike outs (6.4 K/9 IP v. a career average of 9.5). Headed into Spring Training, Friend earned consideration for the big league club as a non-roster invitee and was selected by the Phillies in the Minor League portion of the December 2010 Rule 5 draft from the Oakland A’s.